South-eastern Australia will today brace for all-time temperature records, as bushfires ravage parts of Victoria and Tasmania and BOM warns that “nowhere is going to escape the heat”. 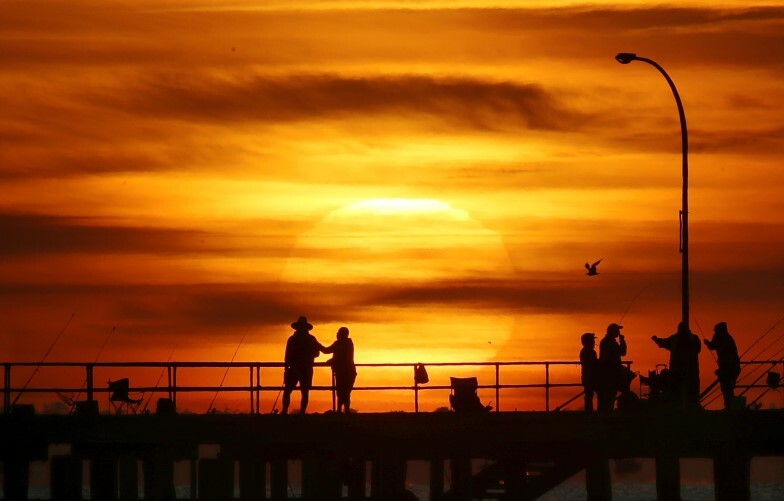 According to the ABC, Adelaide’s hottest temperature on record, 46.1 degrees, is expected to be tested today after the South Australian town of Ceduna yesterday broke its all-time record of 48.4 degrees. Elsewhere, The Sydney Morning Herald reports that Tasmania has 50 fires burning as of yesterday afternoon, with 55,000 hectares of wilderness already destroyed. According to The Herald-Sun ($), the Australian Energy Market Operator has warned today’s heatwave could lead to possible load-shedding across homes and businesses in Victoria and South Australia, where The Advertiser ($) reports 101 solar battery systems have been installed as part of a preventative state government scheme. Electoral data designed to be used under Australia’s Anti-Money Laundering and Counter-Terrorism Financing Act has been accessed for consumer identification purposes by buy now, pay later company Afterpay, as well as debt collectors, betting agencies and marketing firms. The Age reports that Afterpay has harnessed confidential electoral roll data through debt-collectors and data marketing firm Illion in order to match identities to addresses while processing customer information from shops such as David Jones, Officeworks and Nike. While the original act gave access to the electoral information of over 16 million Australians to AFP, ASIC and the Director of Public Prosecutions in order to track criminals and suspects, legislative changes in November aimed at anti money-laundering and counter-terrorism financing widened this access to Illion, betting agency Betfair, marketing giant ACXIOM, and two other companies. A coalition of south east Queensland mayors will today launch a $60 billion infrastructure and transport pitch set to include new tunnels, fast rail networks, river crossings, highway upgrades and new bypasses. The Courier-Mail ($) reports that the South East Queensland Council of Mayors’ plan, officially titled “SEQ People Mass Movement Study”, proposes spending $3.5 billion every year through to 2031 on a total of 47 new projects. Pitches include a faster rail link from Brisbane to Ipswich, the Sunshine Coast and the Gold Coast, as well as a new tunnel between Ipswich and Toowoomba. The project is seeking federal and state approval. I think the state executive got it dead right. You don’t get to bully your way into a seat in the Liberal Party. That’s not how it works. The man who was once parachuted into the seat of Cook over preselected and besmirched candidate Michael Towke defends parachuting Warren Mundine into Gilmore over preselected and now besmirched candidate Grant Schultz. Former Australian Tour de France winner Cadel Evans will help launch Australia’s first ride-to-work scheme. Close of nominations for Cheltenham and Enfield byelections, which will be held on February 9. The Workplace Gender Equality Agency and the University of Tasmania will launch the fifth year of data on the status of gender equality in Tasmania and, more broadly, Australia. Finalists for film festivals Tropfest and Trop Jr 2019 will be announced. A tropical low north of Kuri Bay, in the Kimberley region, could develop into a tropical cyclone today, intensifying as it moves southwest over water later this week. The Productivity Commission will release a report on government youth detention regime. How will climate change affect day-to-day life in Australia? Crikey spoke with Dr Andrew Glikson to find out.